Recently I’ve been composing for a new dance production called Locus Plot for renowned Canadian choreographer, Peggy Baker. The movement of Locus Plot is inspired by mathematical formulae, in particular Locus formations, whose equations yield fascinating geometrical patterns. The show will be running from April 24 to May 3rd at the Betty Oliphant Theatre, in the National Ballet School in Toronto, for 8 shows. Throughout the show, the music transitions from ambient sound sculpture, to solo piano, to electronic dance music, and all the permutations between them. The composition is also a thrill for me because allows me to creatively express my interest in following developments in the sciences. The relation between mathematics and music is multi-faceted, but this project allows and requires me to bring thoughts about this directly into my music, actively during the composition process. The title itself is revealing: “Locus” refers to “location”; a Locus is a series of points on a graph which can form a group, line or shape. In the conceptual stage of the creation, Peggy Baker and vocalist Fides Krucker, received a tutorial from mathematician John Mighton, who helped explain the workings behind the mathematical formulae Baker had chosen to work from. “Plot” refers not only to how they are plotted on a graph (in this case, the stage) but also Baker uses “Plot” in a dramatic, literary sense, to reflect how the dance develops creatively, as a work for theatre, or even opera. In this last sense, Krucker‘s unique “Vocalography” finds expression in the tones, whispers and grunts of the dancers, and integrates them with their movements. I will be performing the score live on stage, with the five dancers, using a setup of piano, Nord Lead 3 Synthesizer, computer, Korg MicroKey, NanoKontrol and also a microphone over the soundboard, at times routing the piano through computer effects, using Logic Pro, Ableton Live, Absynth and Reaktor for software synthesizers and sequencing. 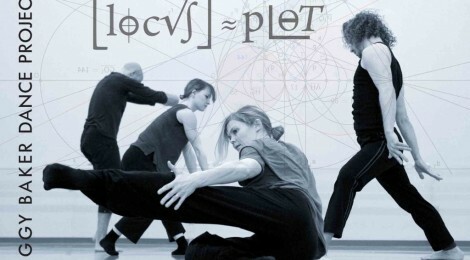 Please visit http://peggybakerdance.com/upcoming/locus-plot for more information and to order tickets.